This mockup was one of the versions of the homepage designed. This was another mockup of the homepage. This is a screenshot from the live site, based on one of the designed mockups. This project was presented to me by a vendor I have used, Magic Hour Productions. 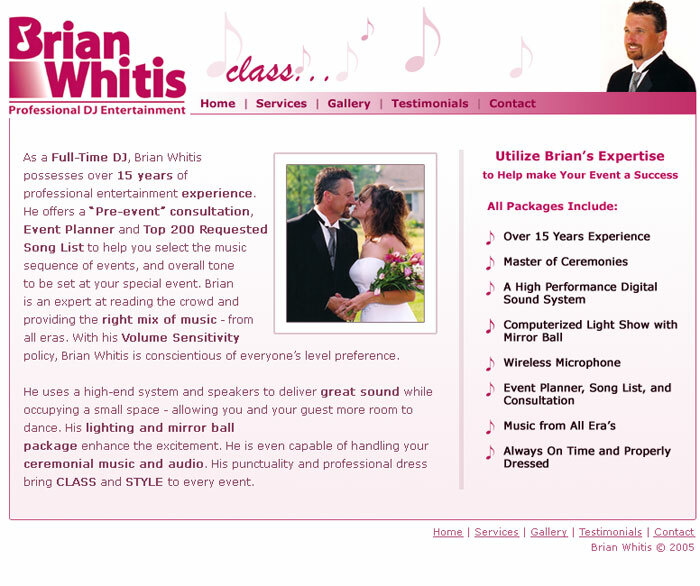 DJ Brian Whitis was in need of a website that matched his brand and marketing materials he had used for his business, he just did not have a web prescence. I worked with Magic Hour Productions and DJ Brian Whitis to take the vision they had and make it a reality. 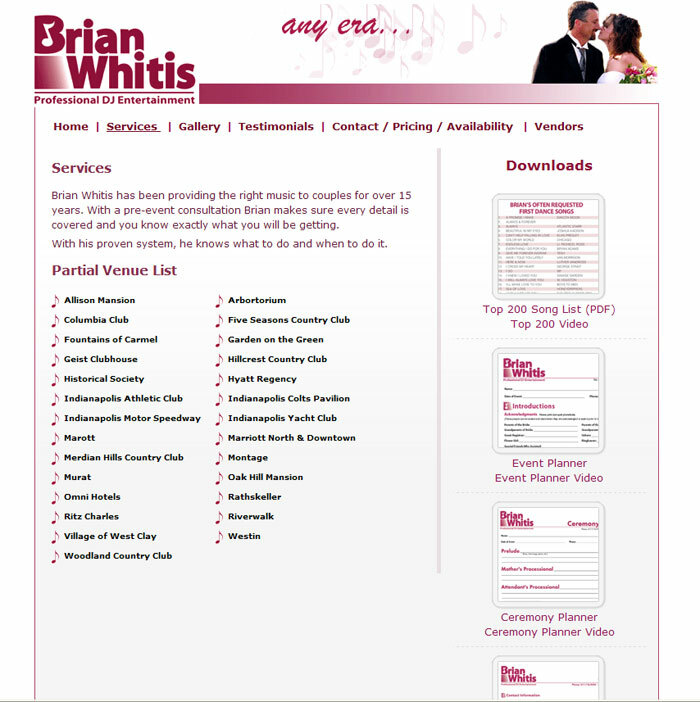 Armed with only pictures and a few pamphlets, I built several variations of his site until landing on a final design. 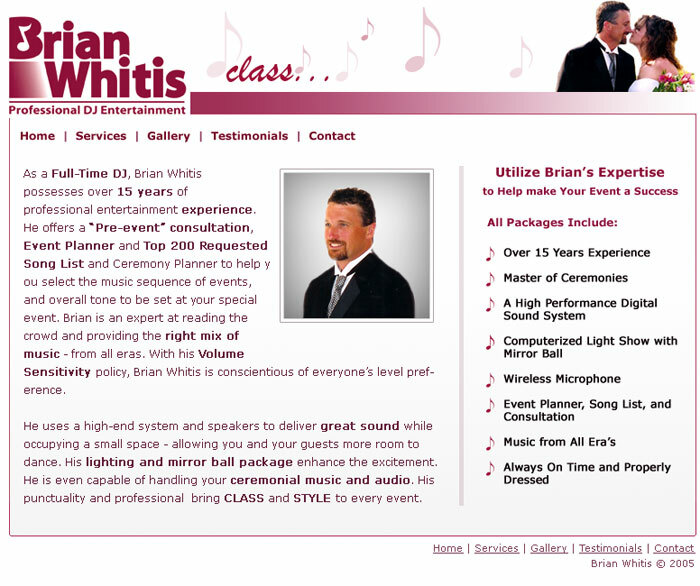 The site was built with Web Standards, PHP, and several flash pieces. The site incorporates several testimonial videos produced by Magic Hour Productions, and converted into FLV format for use on the site. 0YSlow and manually added hostnames, what gives? The sandbox is my personal playground to try out various experimental techniques on the web. Below are some of my latest tests.